Home > WIRE HANGING BASKETS - WIRE BALLS - WIRE SPHERES - WIRE BALLS > Wire hanging basket 10"
Heavy duty basic galvanized hanging wire basket. 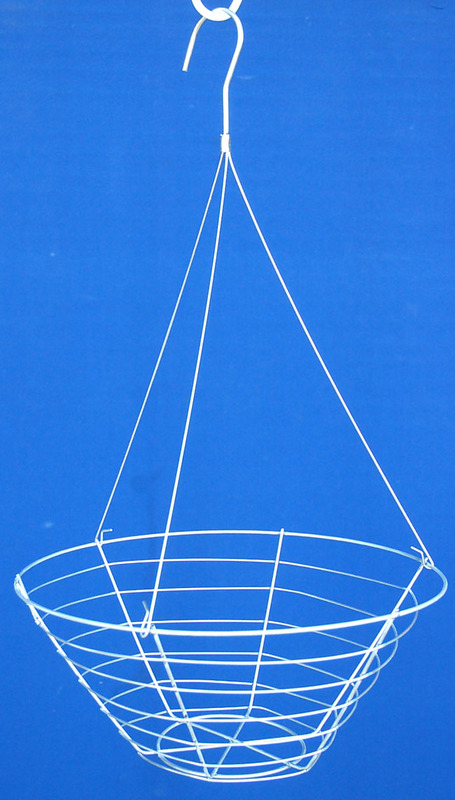 This multiple weld planter comes with three strand galvanized wire hanger. Can be used with sphagnum moss placed inside of it or any other growing liner. This is the same basket that is used in our sphagnum moss baskets. "6.5" DEEP.